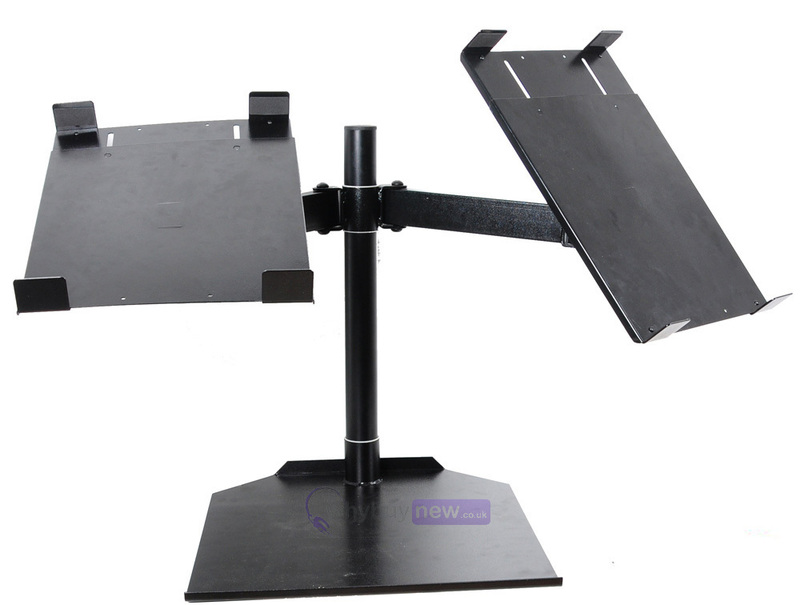 The Novopro CDJ Dual Table Stand is a robust, versatile twin arm CDJ stand, made to fit 2 CDJs, media controllers or other equipment. 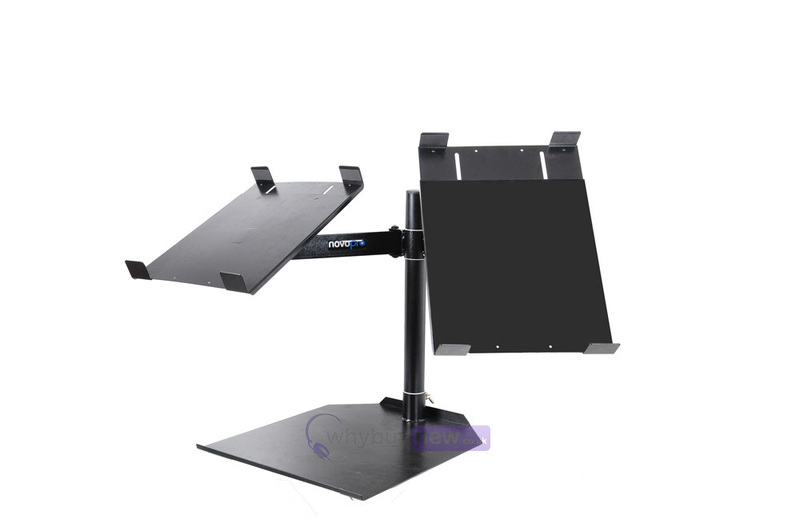 It features two trays, the height and width of which can be adjusted to accommodate almost any player or controller available. 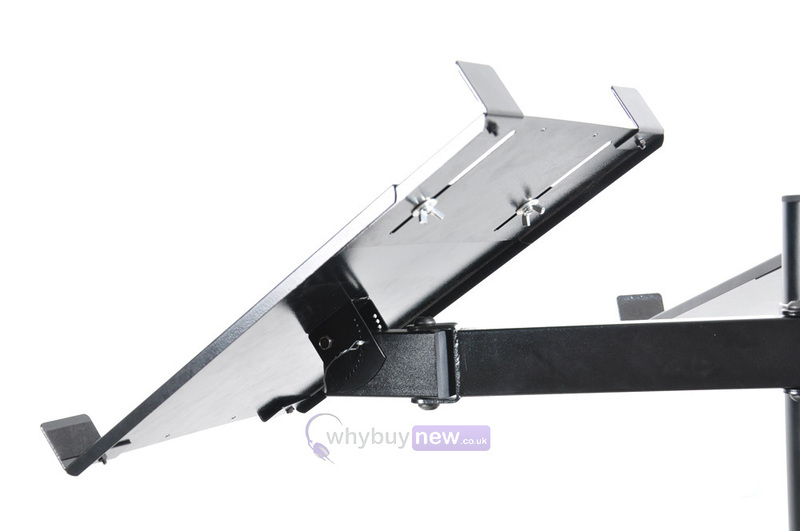 These trays can also be individually tilted at varying angles and secured with a bolt locking system. 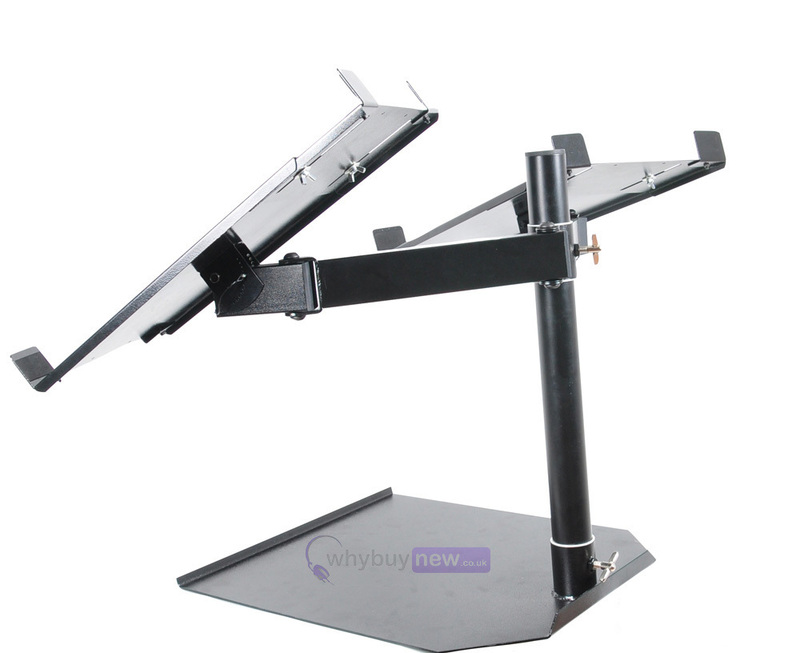 Immensely reliable, this stand has a heavy duty, powder coated steel base plate and nut-and-bolt fixed support arms, so your equipment will be safely supported. Also included are protective foam and rubber pads. Heavy duty professional stand that is suitable for two CDJs, media controllers or other equipment - designed to fit ANY CDJ sized players or controllers. The trays are depth and width adjustable to fit most players and controllers in the market from a small controller to a full sized CDJ Nexus player. The base size is 41.5cm wide and 47.7cm deep. Net Weight of the complete stand is 9.9kgs.